A new discovery has the potential to answer the long-standing question of how massive stars are born -- and hints at the possibility that planets could form around the galaxy's biggest bodies. 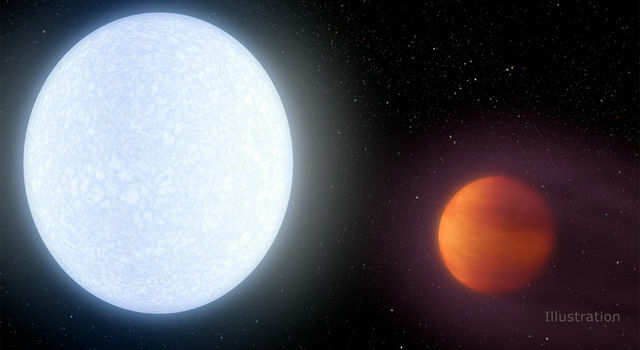 "Astronomers have long been unclear about how the most massive stars form," said Stefan Kraus, a NASA Sagan Exoplanet Fellow and astronomer at the University of Michigan, Ann Arbor. "Because they tend to be at very large distances and surrounded by dusty envelopes, it's very hard to separate and closely observe them." 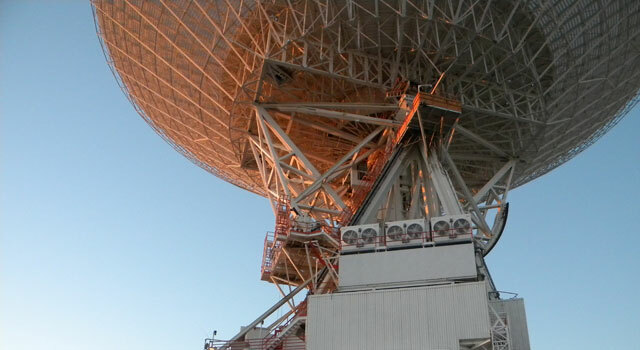 To get a better look, Kraus' team used the Very Large Telescope Interferometer of the European Southern Observatory in Chile to focus on IRAS 13481-6124, a star located at a distance of 10,000 light-years away in the constellation Centaurus, and about 20 times more massive than our sun. "We were able to get a very sharp view into the innermost regions around this star by combining the light of separate telescopes," Kraus said, "basically mimicking the resolving power of a telescope with an incredible 85-meter [280-foot] mirror." The team's observations yielded a jackpot result: the discovery of a massive disk of dust and gas encircling the giant young star. "It's the first time something like this has been observed," Kraus said. "The disk very much resembles what we see around young stars that are much smaller, except everything is scaled up and more massive." The presence of the disk is strong evidence that even the very largest stars in the galaxy form by the same process as smaller ones -- growing out of the dense accumulation of vast quantities of gas and dust, rather than the merging of smaller stars, as had been previously suggested by some scientists. The results were confirmed by NASA's Spitzer Space Telescope. 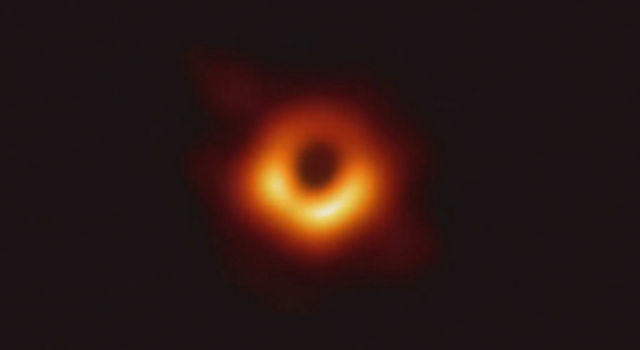 "We looked at archival images of the star taken by Spitzer, and confirmed that the star is flinging disk material outward from its polar regions, just as we see with smaller stars and their dust disks," Kraus said. The discovery also opens up the possibility that planets, perhaps even Earth-like ones, may be able to form around massive stars like IRAS 13481-6124, in the same way that they formed around our sun when it was much younger. "In the future, we might be able to see gaps in this and other dust disks created by orbiting planets, although it is unlikely that such bodies could survive for long." Kraus said. "A planet around such a massive star would be destroyed by the strong stellar winds and intense radiation as soon as the protective disk material is gone, which leaves little chance for the development of solar systems like our own." 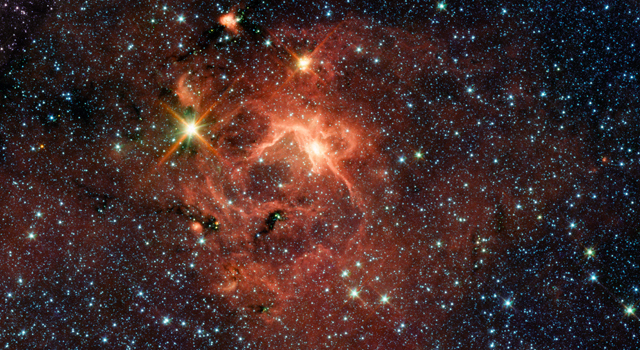 Still, huge stars like IRAS 13481-6124 provide the building blocks for life to arise elsewhere in the universe. "High-mass stars are where heavy elements necessary for life are created, so they are of major importance," Kraus said "This discovery is a clearer picture than we've had before and allows us to understand them better." 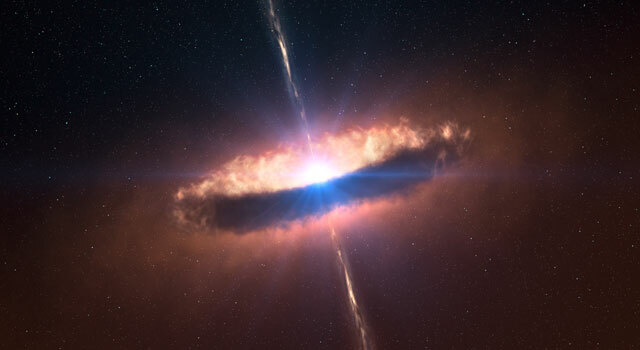 Spitzer previously detected dusty disks of planetary debris around more mature massive stars, further supporting the notion that planets may form even in these extreme environments. More information about that research is online at: http://www.spitzer.caltech.edu/news/230. 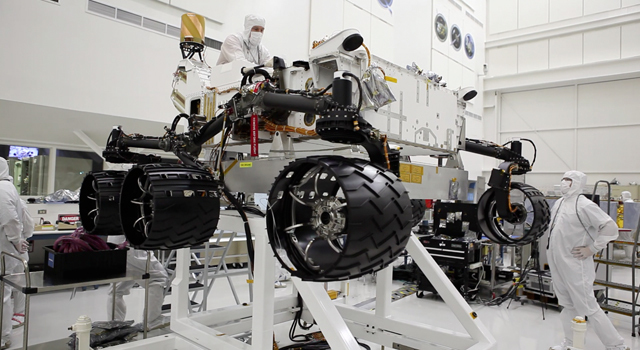 More information about NASA's planet-finding missions is online at http://planetquest.jpl.nasa.gov. 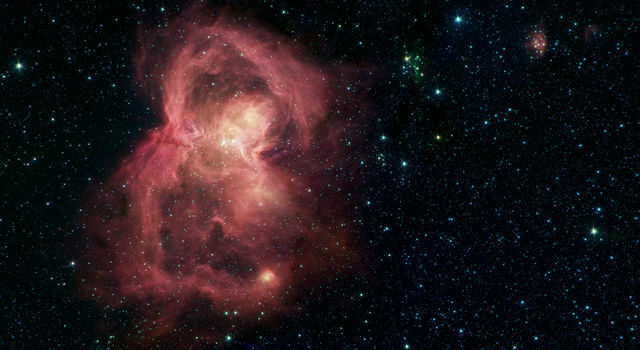 The recent and previous Spitzer observations were made before the space telescope ran out of its liquid coolant in May 2009, officially beginning its warm mission. The Sagan Fellowship Program, administered by the NASA Exoplanet Science Institute (NExScI) at Caltech aims to advance the scientific and technical goals of NASA's Exoplanet Exploration Program. Other images are available at http://www.eso.org/public/news/eso1029 .